The cube instantly became selfie heaven for the 8000 visitors who entered the festival space that evening for Boston’s first ever Nuit Blanche. 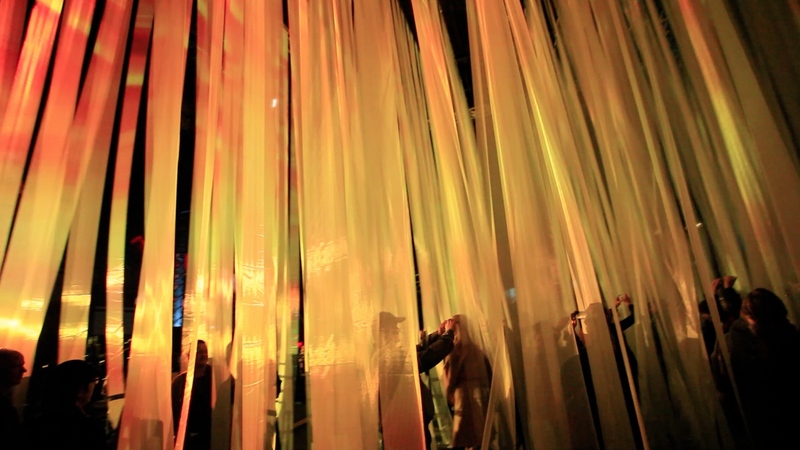 They got to experience “Light Beams Dance” surrounded by over 300 strands of fabrics, immersed in full stereo sound and colors beamed by a 20,000 lumen Christie projector. Now that’s bright! This entry was posted in Uncategorized on November 2, 2014 by fxdecosterd. New Work to Premiere at Twelve Nights – Opening Reception Aug 7th.